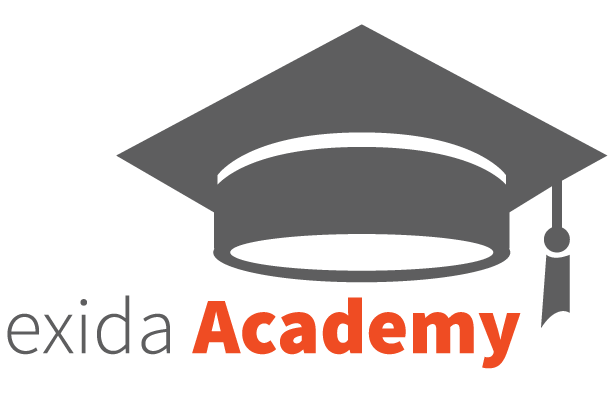 exida Academy provides comprehensive Functional Safety, ICS Cybersecurity, and Alarm Management training for today's industry professional. The mission of exida Academy is to share our evolving knowledge and skills with end users and original equipment manufacturers with the intention that they will in turn design, build, operate, and maintain optimally safe, secure, and cost-effective automation systems as applicable to their functional responsibility. Our courses are available on a variety of platforms, ranging from public classes and self-paced online training to week-long custom, on-site training workshops. Courses are provided at the Beginner, Practitioner, and Expert levels. Operator response to alarms is a critical layer of protection to prevent a plant upset from escalating to an incident. Poor alarm management has been cited as a contributor to numerous industry incidents. Application of alarm management best practices can help increase operator productivity leading to optimized production and less unplanned downtime. The course will show how the ISA-18.2-2009 standard “Management of Alarm Systems for the Process Industries”, and the alarm management lifecycle defined in it, can be used to address common alarm management issues (e.g., nuisance alarms, alarm floods) and to create an effective, sustainable alarm management program that delivers quantifiable benefits. Avoiding the very detailed execution activities recommended in ISO 26262, this course offers senior automotive leadership team members a practical and accessible overview of the concepts and activities required to successfully deploy, achieve and maintain ISO 26262. ISO 26262 is a functional safety standard intended to be applied to the development of software for electrical and/or electronic (E/E) systems in automobiles. ISO 26262 is an adaptation of the broader IEC 61508 safety standard, which has been used to derive safety standards for the nuclear power, machinery, railway, and other industries. It is aimed at reducing risks associated with software for safety functions to a tolerable level by providing feasible requirements and processes. This course offers an introductory to the standard from a software and hardware level. This course offers students an understanding of the key hardware analyses recommended in ISO 26262. This course offers students an understanding of the key software analyses recommended in ISO 26262. Layer of Protection Analysis with LOPAx™ and Safety Requirements Specification with SRS, FSE 243, explains how the exSILentia LOPAx™ module is used to conduct a Layer of Protection Analysis. This course is targeted towards students that have a general understanding of layer of protection analysis and safety requirements specifications who want to learn how to leverage the advanced features of LOPAx™. It will cover how to analyze hazard scenarios considering the frequency of initiating events and the probability of failure for each independent protection layer (IPL) as well as enabling conditions and conditional modifiers. This course will show how to calculate the required Risk Reduction Factor of an IPL and identify Safety Instrumented Functions (SIF). It will teach users how to transfer data from PHAx™ to LOPAx™. The FMEDA method was invented to predict failure rates for each failure mode of a device, subsystem, or component. The ”Practical Electronic FMEDA with FMEDAx” course explains the FMEDA method, objectives, and output. In this course an example device FMEDA will be done showing the fundamental concepts including environmental profile selection, diagnostic coverage analysis, proof test coverage analysis, complex integrated circuit (IC) analysis, device packaging impact, and functional failure modes. The FMEDA method was invented to predict failure rates for each failure mode of a device, subsystem, or component. The "Practical Mechanical FMEDA with FMEDAx" course explains the FMEDA method, objectives, and output. In this course an example device FMEDA will be done showing the fundamental concepts including environmental profile selection, diagnostic coverage analysis, proof test coverage analysis, part selection, and functional failure modes. It provides an overview of process industry safety engineering from the point of view of the Risk Analyst, Process Safety Coordinator, and Control Systems Design Engineer. This course delivers a complete overview of the functional safety lifecycle. The course reviews Process Hazard Analysis (PHA), Consequence Analysis, Layer of Protection Analysis (LOPA), Safety Integrity Level (SIL) Target Selection, Safety Requirements Specification (SRS) generation, failure rates, device and system reliability, SIF verification, SIF detailed design and Operations requirements. The IEC 61508 standard for functional safety of electrical/electronic and programmable electronic systems explains the concepts of safety integrity levels, the safety lifecycle and many detail requirements needed to ensure functional safety. The standard is comprehensively reviewed and explained. Documentation requirements, project implications, and maintenance/operational implications are explained. Checklists and other implementation tools are presented. The IEC 61508 standard for functional safety of electrical /electronic and programmable electronic systems, explains the concepts of safety integrity levels, the safety lifecycle, and many detail requirements needed to ensure functional safety. The standard is comprehensively reviewed, and documentation requirements, project implica¬tions, and maintenance/operational implications are explained. Also, checklists and other implementation tools are presented. exida's Certified Fire and Gas Practitioner Training program provides delegates with a comprehensive understanding of all aspects of Fire and Gas Detection Technology; from performance based design (fire and gas mapping) through to practical maintenance requirements.